The United Christian Leadership Ministry of Western New York will hold its fourth annual “Greater Rochester Regional Summit on Police Community Relations” on Saturday, June 16, from 9 a.m. to 3 p.m., at First Church of God, 334 Clarissa St. 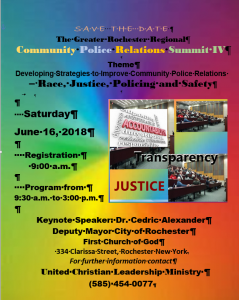 The theme of the event will be “Developing Strategies to Improve Community Police Relations – Race, Justice, Policing and Safety,” and Deupty Mayor Cedric Alexander will be the keynote speaker for the event. Registration begins at 9.am., and the program is free and open to the public. 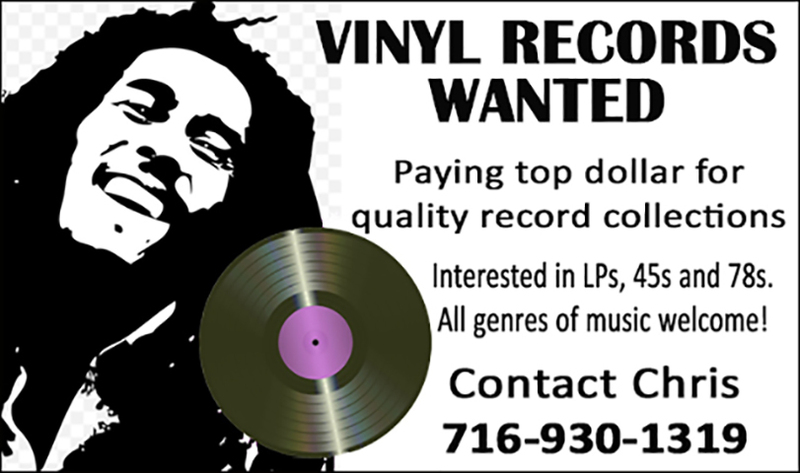 Contact UCLM, at (585) 454-0077, for additional information regarding the event.